Young modulus is a description of the stiffness or elasticity of a material. It is a fundamental property that cannot be changed and is dependent on the current pressure and temperature of the sample. Understanding the elastic behavior of your sample is critical when designing a mechanical system. Young modulus provides a general idea of the force limit required for permanently deform the object. Several methods have been devised to accurately measure and calculate the elastic modulus of an object. Mathematically, the modulus of elasticity is defined as the gradient of the stress (F/A) vs strain (dl/L) curve; where F and A are applied force and object area, dl and L are elongation/compression length and length of an object, respectively. The Young Modulus is an experimentally derived value from stress and strain measurement. 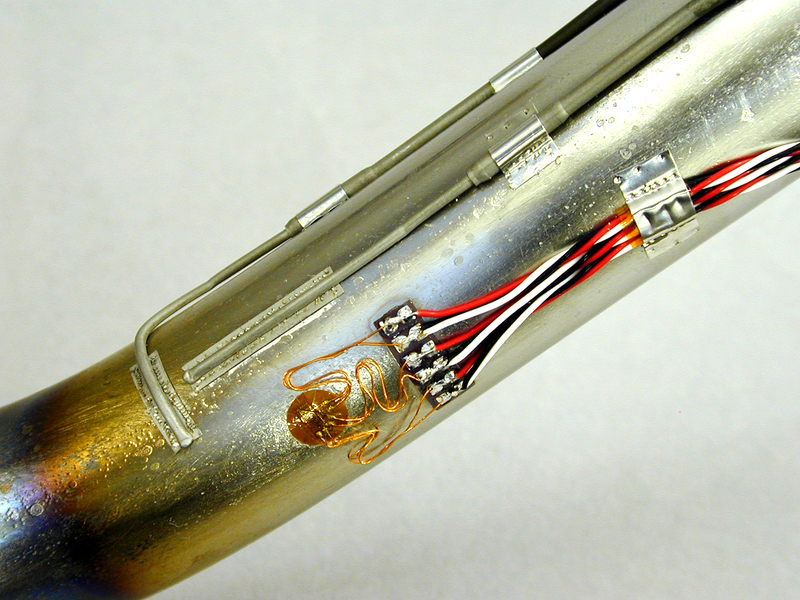 Strain can be measured using a strain gauge or a non-contact video extensometer. Force is applied to the object which will compress or elongate the sample. Various loads are applied to generate the stress and strain data of the object. The resulted data is plotted on the stress vs strain curve fitted with the linear regression line. Slope of this line is the Young Modulus. The most common type of strain gauge is a resistant-type strain gauge that generate electrical charges whenever it is stretched or compressed. Depending on the applications and materials, there are wide range of strain gauges available, such as concrete, aluminium, weldable, high temperature, etc. Please check this page to review our comprehensive lists of strain gauging products. Additionally, We also run a full day strain gauging course to teach users the correct techniques of strain gauging applications. For more information, please visit this page. 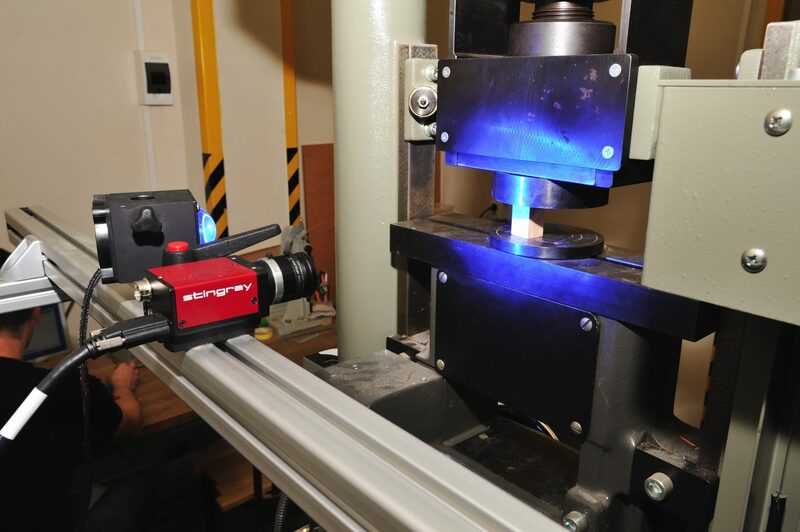 Strain measurement can also be conducted using an advanced non-contact video extensometer. 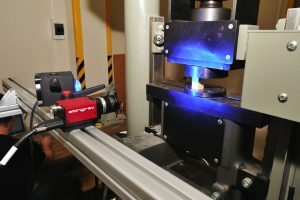 Using real-time digital image correlation principle, the strain and elongation of materials can be measured with a sophisticated 2D or 3D optical camera. The software offers capability to conduct comprehensive analysis, including strain measurement and young modulus calculation, and users can choose which modules to purchase according to their needs. For more information, please visit our vendors website here. Please check the following table for young modulus data for some common materials at room temperature and pressure (25°C, 101.3kPa). Please complete the enquiry form below for specific information and advice on Modulus of Elasticity – Young Modulus for some Common Materials. Fields marked with a ‘*’ are mandatory and must be filled.